What services does MatchnRide provide? Is my registration information safe? Why do I need to be registered to contact a seller? What are the benefits of saving a search? How long will my messages remain in the NickerMail system? I forgot my password, can you email it to me? How can I change the email address or account information? What is a Matching Matrix? How are percentage matches calculated? Why is there no percentage match on Quick Search? Can I edit a Saved Search? How do you save a search? Do I have to use PayPal? Can I use my credit card or send a check? Do I have to fill out all the sale questions? Can I put a link in my ad to my website? How do I upload my YouTube link? How do I replace a photo on my ad? Does it cost me anything to replace my current photo with a new photo? What should I do if there is a slanderous ad on the site? Is there a safe way to purchase a horse on the internet? What is an example of an email scam? MatchnRide.com is an on-line equestrian marketplace that unites, and caters to, horse buyers, sellers, and breeders via a fully automated database of classified advertisements. The website provides easy to use search tools, as well as protected communication channels to assist both the buyer and seller. 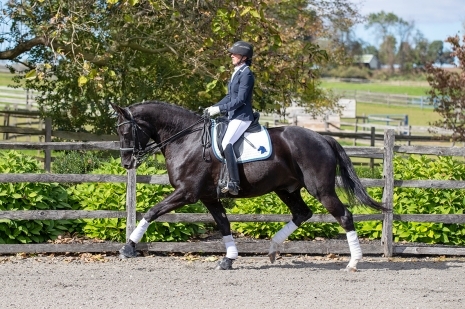 In addition, MatchnRide provides an on-line searchable marketplace for equestrian related business. Although you can search and view the matrix results without being a registered user, you will not be able to take advantage of all MatchnRide features. By registering for a free user account you will be able to save your searches, save your matches, receive new match updates via personal email and communicate with sellers via MatchnRide's secure NickerMail system. Totally. MatchnRide will never give out your personal information under any circumstance. Yes, you can search without being a registered user. However, you will not be able to take advantage of all MatchnRide features. We encourage you to register for a FREE user account so that you can save your searches, save your favorites, receive new match updates via personal email and communicate with sellers via MatchnRide's secure NickerMail system. W hy do I need to be registered to contact a seller? All communication between buyers and sellers is within the NickerMail message system for registered users. For privacy purposes, email addresses are never made available through MatchnRide. NickerMail is MatchnRide's secure communication center for registered buyers and sellers. “Nickers” are individual emails sent within the NickerMail system. Email addresses are never made available through MatchnRide. All communication between buyers and sellers is within the MatchnRide system. My Barn is where buyers and sellers keep track of all their activities on the MatchnRide website. You can view saved horses; check for new matches; view saved searches; read NickerMail; edit your sale, lease, or Trainers' Corner ads; and update your contact information. A new match is a horse that enters the MatchnRide system and matches search criteria that a registered user has saved to a Search. The Matrix system, which works 24/7, will grab a new match or matches as they enter the system and save it for when a user next logs in to the site. And, if the user would like, forwards the new match to their personal email for review. MatchnRide has provided a folder in “My Barn” (a registered user's account center) to keep track of your search criteria. Every time you fill out a search questionnaire or edit a search you can save that criteria to a unique “Saved Search”. Saving a particular search provides easy access for future use, and provides a designated place to save favorite listings that match a particular search. In addition, the Matching Matrix will continue your search 24/7 and save any new matches that enter the system for when you return. And, if you would like, forward any new matches to your personal email for review. If you do not personally delete a message they will remain in the system for 6 months. Yes. When you go to log in you will see a box at the bottom of the form that says “I forgot my Password” - click on the box and provide your email address and we will email your password to you. You can change your username or password by going to your “Account Center” in “My Barn” and entering the new information and then clicking CHANGE. You can change your email address or account information by going to your “Account Center” in “My Barn” and entering the new email address or information and then clicking CHANGE. The Matching Matrix is a database system that gathers the buyers search criteria and compares that criteria with all of the horses listed on MatchnRide. When the system finds a match, (or matches) those horses will display in a list of search results. Clicking on a horse in the results list will display a percentage-match ranking, as well as side by side buyer/seller comparison. The Matching Matrix will also continue the buyers search 24/7 and save any new matches for when the buyer returns to the site. (note: search criteria must be saved by registered users for this feature). A Percentage Match is calculated by comparing the questions answered on the buyers search questionnaire against the information from all horses in the MatchnRide system. Due to the limited number of questions on the Quick Search questionnaire an accurate percentage ranked match can not be calculated. Yes, you can edit a Saved Search at any time; however, when you edit and save the new criteria to your search, the percentage rankings on horses previously saved to that search will adjust to match the updated criteria. If you are searching using a saved search and would like to exit that search and begin a new one - simply edit your criteria, click SEARCH, and then click on begin new search when prompted. If you would like to save your search, click on the “Save this Search” tab at the top of the “Results” listing page. You will then be prompted to name your search. After naming your search you will be returned to the results page and able to save favorite listings to the search. MatchnRide only accepts payments by PayPal. We feel this is a quick, easy and secure system for our advertisers. With PayPal there is no sharing of financial information and they use the latest anti-fraud technology, including data encryption. All questions that are not marked “optional” must be filled in. This is the only way to maintain the integrity of MatchnRide's Matching Matrix system. Yes, you can include a link to your website. In the “Upload Photo” area, you will be prompted to browse your computer for each individual photo to be used in your ad. When that photo is located and selected, click the “Upload” button. Go to YouTube.com and locate your video. Under your video there will an Share button, click Share and your video code will display. Copy and paste that code into the area provided by MatchnRide. To replace a photo go to “My Barn”, click on “View My Ad(s)”, click on the “Edit Ad” link. Your original ad information will appear. Go to the question pertaining to uploading photos on the questionnaire and replace your photo. No, replacing a Photo is FREE. You will receive an email notice from MatchnRide 10 days before your Ad is due to expire. To renew your Ad go to “View My Ads” and click on the “Renew My Ad” option. What should I do if I think someone is trying to scam me or commit fraud. You should not interact or provoke the party in any way and contact your local authorities. Notify MatchnRide by email or by clicking on the “Report Scam” button located on individual messages in the NickerMail message center. Please include the ad ID# with your report. We will review your information and contact the user. If we are unable to make contact, the ad will be removed from the site and the person will be suspended from using the MatchnRide website. Note: For security purposes, do not give out your personal email to someone you don't know, keep all communication within the security of the message center. A payment offer that exceeds the asking price. Communication, especially from foreign countries, that includes an excessive amount of grammatical and spelling errors. Someone claiming to be a third party in a transaction and asking for a commission. Someone wanting to complete a transaction with a cashier's check. Someone who is pressuring you to make a commitment beyond your comfort level. Someone who is asking for your bank account or any other financial information. There are services available, such as PayPal.com and Escrow.com where the buyer and seller can work together regarding payment. However, whenever using a third party site you should always research their protection policy to assure that you are fully protected. Never send Western Union, Money Gram or wire transfer to anyone you don't know. MatchnRide is not a law firm and therefore does not provide legal advice. We do, however, strongly recommend that if you find a horse you like that you not only research the horse, but the seller as well. Feel free to ask as many questions as you want and never hesitate to ask the seller for references. Before making a commitment, we strongly advise that you see the horse in person. If the horse is of riding age we also recommend that you ride the horse after first observing the horse being ridden for your review. If you are working with a trainer, ask the trainer to accompany you to see the horse. If you aren't working with a trainer and you are an inexperienced rider, find a professional or a more experienced rider you trust to go with you. If you decide to pursue a purchase or lease, always have a veterinarian of your choice perform a pre-purchase exam. And never be rushed into any transaction. Get all the details of the transaction in a written agreement. If you can't afford an attorney, there are many inexpensive contracts on-line. At the very least get the details down on paper in plain English and have the document signed and dated. If there is any hesitation or the seller refuses a written agreement, walk away. Always remember to use common sense and to trust your judgment - if it sounds too good to be true, it probably is.